eSafe is a robust and intelligent outsourced monitoring solution that’s designed to help educational leaders meet their statutory duty to safeguard students in their care – by taking the strain of detecting safeguarding risks early. eSafe works around the clock – 24/7, 365 days a year – providing three vital components for detecting the subtle early warning signs of students who are potentially at risk and may require support or an intervention plan. Cutting-edge text and image monitoring software with the capability to monitor words and phrases in any language, as well as images that are moving and static. Dynamic threat libraries – updated daily to maintain detection accuracy, in line with emerging behavioural trends within the locality, across the country and around the world. Bespoke threat libraries are also created for individual schools and colleges to pick up local slang, as well as issues such as gang culture. eSafe gives valuable insight into your students’ wellbeing too. As well as working within the respective Inspectorates’ framework, the data gathered by eSafe gives a true and accurate gauge of wellbeing within the monitored school or college. 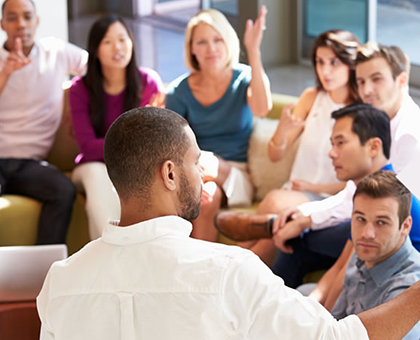 This helps educational leaders proactively shape the pastoral agenda in line with the specific challenges their students may face at any given time. It also provides an accurate baseline for safeguarding strategies to be measured and assessed – and can make a significant contribution to school/college improvement planning. eSafe provides a global forensic monitoring service that’s designed to detect the early warning signs of the range of safeguarding risks, including self-harm, drug abuse, bullying, grooming and radicalisation. Working closely with school and college leaders, eSafe currently helps to protect in excess of 600,000 students and staff members. 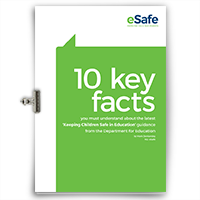 The 10 key facts you must understand about the 'Keeping Children Safe in Education' guidance from the Department for Education.